In January 2014, on our first ever cruise with Norwegian Cruise Line onboard Norwegian Getaway, we were introduced to the style of entertainment Norwegian provides. Being familiar with the entertainment onboard Royal Caribbean ships we were surprised and immediately fell in love with what we saw. The first show we saw was Burn The Floor. Two singers and a live band are joined by a group of dancers in a theatrical dance experience bringing traditional dances, such as the Viennese Waltz and Foxtrot, to life. Switching from the passion of the Tango and Paso Doble to the energy of the Cha-Cha, the Samba, Rumba and Jive the sizzling hot performances blew us away. 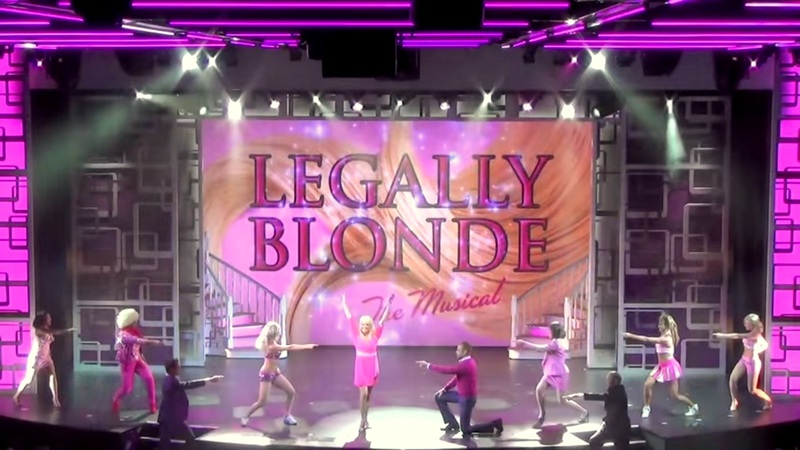 The second night was broadway night as Legally Blonde – The Musical hit the stage. Based on the novel Legally Blonde by Amanda Brown and the 2001 film, the musical tells the story of sorority girl Elle Woods who, after being dumped by her boyfriend Warner, follows him to Harvard Law School to win him back. With the help of some new-found friends, she discovers how her knowledge of the law can help others, and successfully defends exercise queen Brooke Wyndham in a murder trial. Though no one has faith in Elle Woods, she manages to surprise them when she defies expectations while staying true to herself. We started our second cruise with Norwegian Cruise Line with high expectations. Our cruise onboard Norwegian Jade, featured three “production shows”: Showdown, Shout! and Elements. 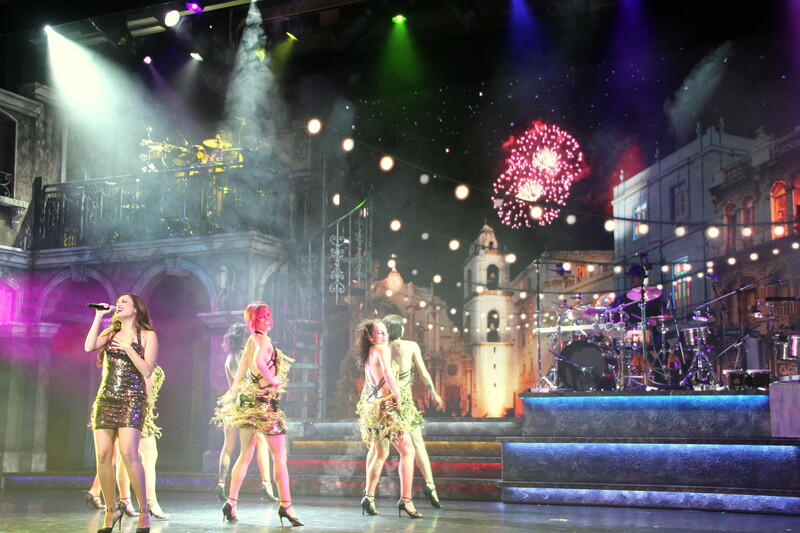 Showdown, a tribute to the shows that light up Broadway, is a NCL Entertainment original production. Four “contestants”, who compete in a mock reality singing competition, perform tunes from Aretha Franklin, The Supremes, The Temptations, Gloria Gaynor & more while the audience votes on the winner. Though the vocalists were able to impress us, the rest of the show couldn’t. SHOUT! The Mod Musical is described as “a jukebox musical that flips through the years like a musical magazine, tracking five young women as they come of age during the liberation days of the 1960s”. Performing a collection of British pop classics the female vocalists were impressive, the rest of the show unfortunately wasn’t. Disappointed by the visual qualities of the first two shows we almost decided not to see Elements, the third production show. Contrary to the other shows Elements is impressive. The show is dazzling with acrobats flying all over, mystical illusions along with exciting music and dance, all set in the five elements of Earth, Air, Water, Fire and Snow. A standing ovation worthy. Currently cruising in Europe Norwegian Epic has been on our bucket list since she was introduced in 2010. Beginning April 2015 Burn the Floor has taken the stage as one of the headliner acts, replacing Blue Man Group, and starting October 18th Priscilla, Queen of the Desert – The Musical will join the ship. 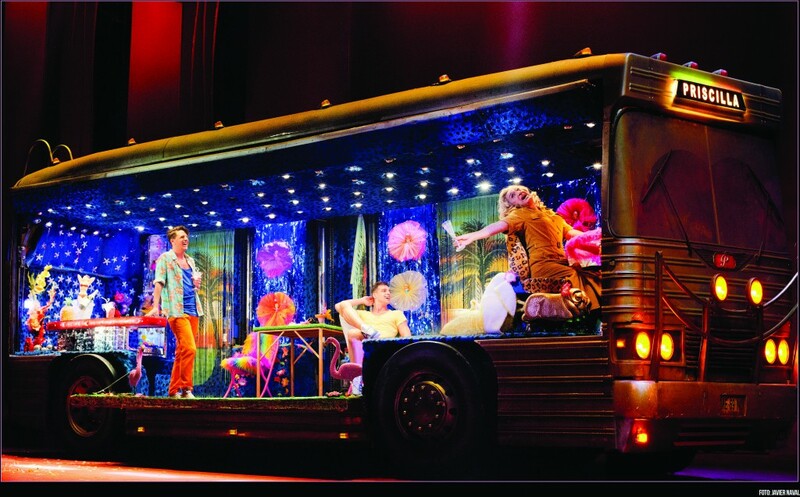 Based on the Oscar-winning movie, Priscilla, Queen of the Desert – The Musical is the comedy adventure of three friends, two drag queens and a transsexual woman. 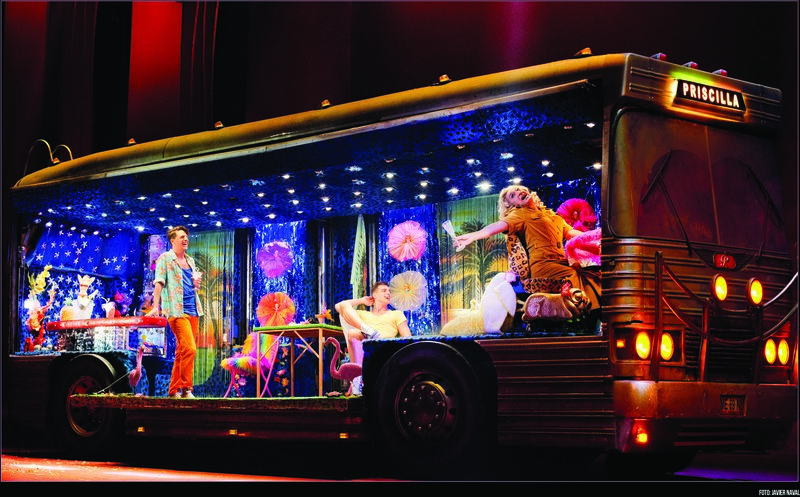 In search of love and friendship the divas hop onboard a battered old tour bus named “Priscilla”. The musical features over 500 imaginative costumes, 200 headdresses and a hit parade of dance numbers and disco hits from the 70s and 80s including “It’s Raining Men”, “I Will Survive” and “Girls Just Wanna Have Fun”. Having been on our wishlist since its debut, Norwegian Epic, with the addition of these two shows, will more than likely be the third Norwegian Cruise Line ship we explore. Replacing the Norwegian Jade In Europe, Epic is sailing the same routes in the Mediterranean. For some this might be an issue, for us it means revisiting well loved places, spending some quality time and meeting new friends while enjoying the mild winter temperatures. Phenomenal show, saw it 4 times while on this cruise. we raved of its performance. would come on Epic again and enjoy it some more! !